, an English historian, was born at Basingstoke, in Hampshire, of the great part of which place his ancestors had been proprietors. 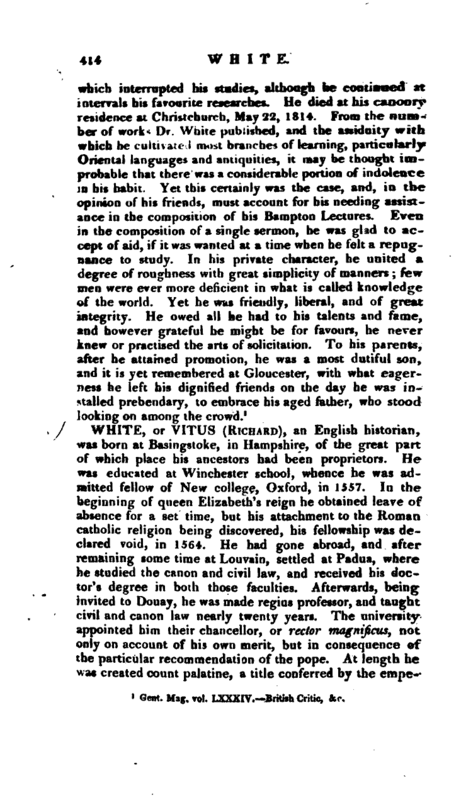 He was educated at Winchester school, whence he was admitted fellow of New college, Oxford, in 1557. In the beginning of queen Elizabeth’s reign he obtained leave of absence for a set time, but his attachment to the Roman catholic religion being discovered, his fellowship was declared void, in 1564. He had gone abroad, and after Remaining some time at Louvain, settled at Padua, where he studied the canon and civil law, and received his doctor’s decree in both those faculties. 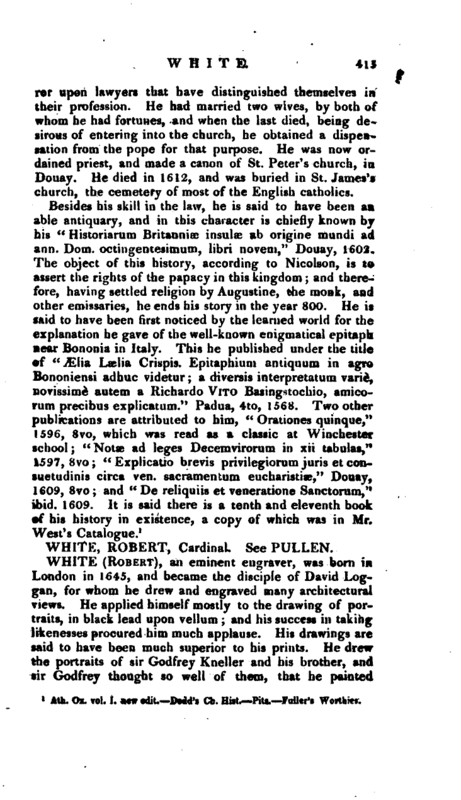 Afterwards, being invited to Douay, he was made regius professor, and taught civil and canon law nearly twenty years. The universityappointed him their chancellor, or rector magnificus, not only on account of his own merit, but in consequence of the particular recommendation of the pope. At length he was created count palatine, a title conferred by the | emperor upon lawyers that have distinguished themselves in their profession. He had married two wives, by both of whom he had fortunes, and when the last died, being desirous of entering into the church, he obtained a dispensation from the pope for that purpose. He was now ordained priest, and made a canon of St. Peter’s church, in Douay. He died in 1612, and was buried in St. James’s hurch, the cemetery of most of the English catholics. Ath. Ox. vol. I. new edit. Dodd’s Ch. Hist Pits, Fuller’s Worthiw.